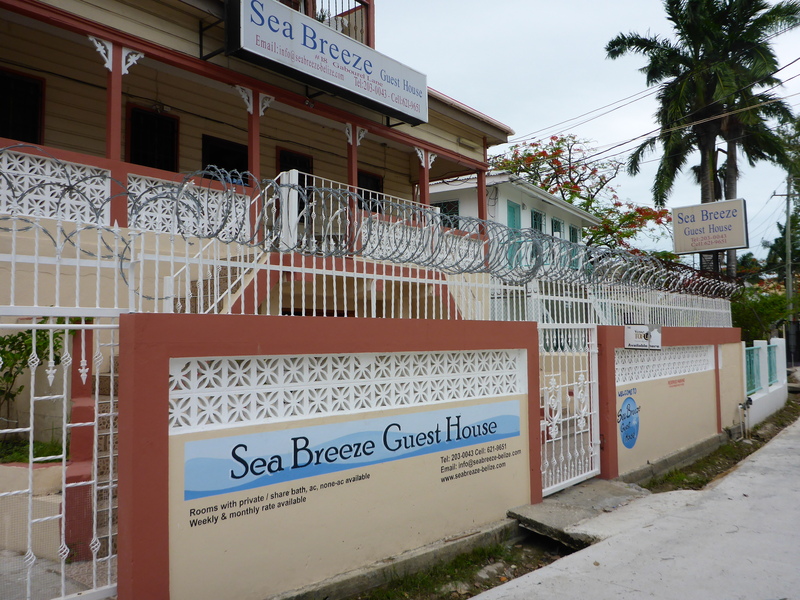 The Sea Beeze Guesthouse in Belize City – ready for anything! Lindsay and I woke up in our Belize City Hostel, the Sea Breeze Guesthouse, after a solid night of sleep. I actually woke up about an hour earlier than Linds and wrote in my travel journal on our balcony. Our balcony shared a door with our next door neighbor. He came out and we chatted a bit. He’s from Los Angeles and comes to Belize for a week or two every year in May. The sky was a cloudy and looked like impending rain. Other than that it was a decent day, aka less humidity! Once Lindsay got up we packed up our things and we walked the couple of minutes to the San Pedro Water Taxi station to catch the 9am San Pedro Belize Water Taxi to San Pedro. When we crossed back over the Belize border from Guatemala the day before, one of the water taxi representations gave us a discount coupon for our tickets. 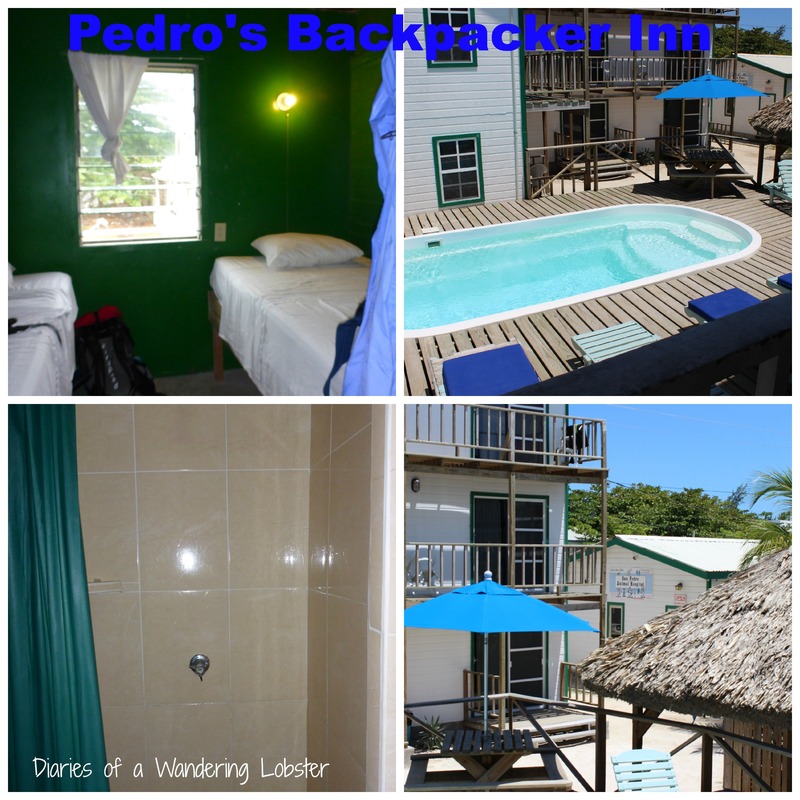 I purchased a one-way ticket to San Pedro since I was planning on taking the Tropic Air flight from the islands to the international airport, but Lindsay purchased a round trip ticket since she was in Belize for another week and was planning on heading south after I left. We each saved a few bucks! A normal one way ticket to San Pedro costs $17.50 USD, but I paid about $15 USD with the coupon. We hopped on the boat and enjoyed the 1.5 hour ride to San Pedro. The boat was nice and basic. There was plenty of room for everyone, but I can imagine that it is more crowded during the high season. 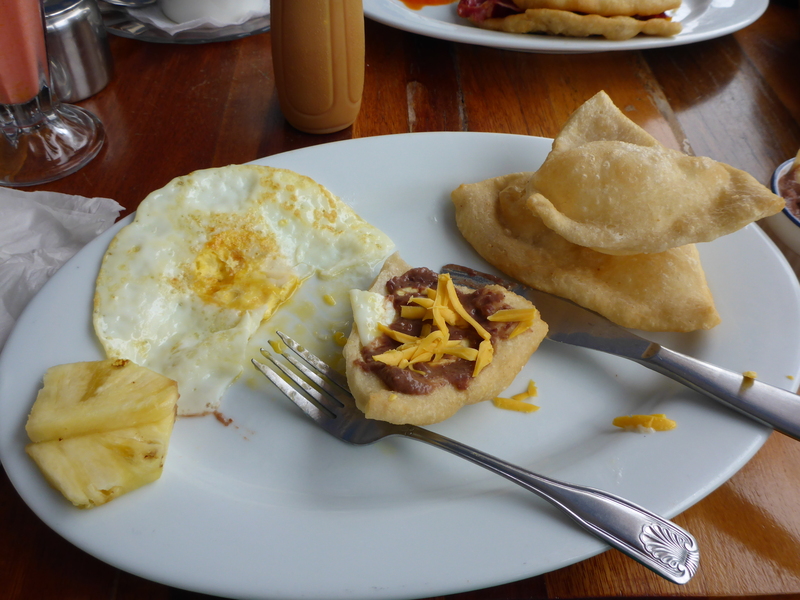 We arrived on the San Pedro dock around 10:30 and hit the first cafe we found for breakfast. Right across the water taxi dock is a little cafe called Licks. It was a great little breakfast place and we both had the traditional Belizean breakfast of fried jack, eggs, beans, and cheese. It was yummy! After breakfast we began our walk to the Pedro’s Inn Backpackers Hostel. As we were searching for the hostel it started to downpour. We got half way to the hostel and asked a local warehouse worker if we were heading in the right direction. He pointed in the opposite direction and of course we headed in that direction because we didn’t know any better. Once we figured out we were heading in the wrong direction, we headed back the original we walked and eventually found the hostel. We checked in quickly and chose the cheapest option, the dorm room. The room had two beds with a window. The beds were comfortable and we had access to the shared bathrooms, which were very clean as well. 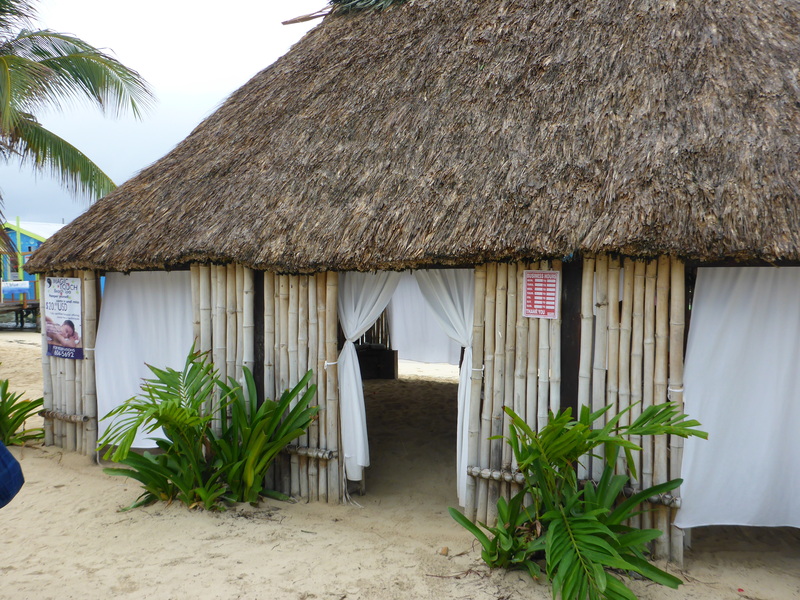 The accommodations were simple but comfortable for the $13 USD a night we paid. The downfall of the location of Pedro’s Inn is right next to the airport so it can be loud when planes take off throughout the day. It’s relatively quiet at night though. Pedro’s does have a reputation of a party hostel so it can be loud from drunk people, but it wasn’t bad when we were there for two nights. It continued to rain for a while so we both read awhile in bed. In the early afternoon the rain started to turn to a drizzle and we both decided to head into town to check out the massage place we saw on the beach for $25. After a few days of nonstop travel, hiking Mayan ruins, and cave tubing, we both could use a little relaxing and massage. My right IT-band and hip were quite tight (I have a chronic right hip issue) so a massage was just what the doctor order. We found out that a half-hour massage cost $25 USD and an hour-long massage cost $50 USD. This a bargain compared to the $75-$100 I pay in Maine (which doesn’t happen often these days)! We decided we would do a half-hour. After the massage, Lindsay and I set out to find a snorkel tour for the next day. We talked to the people at both Seaduced by Belize and Searious Adventures. Both tours cost about the same price and offered the same level of snorkeling. We decided to go with Searious Adventures because they were a couple of dollars cheaper. Both tour companies have excellent reviews along with Grumpy & Happy Belize, so you can’t go wrong with any of those choices! 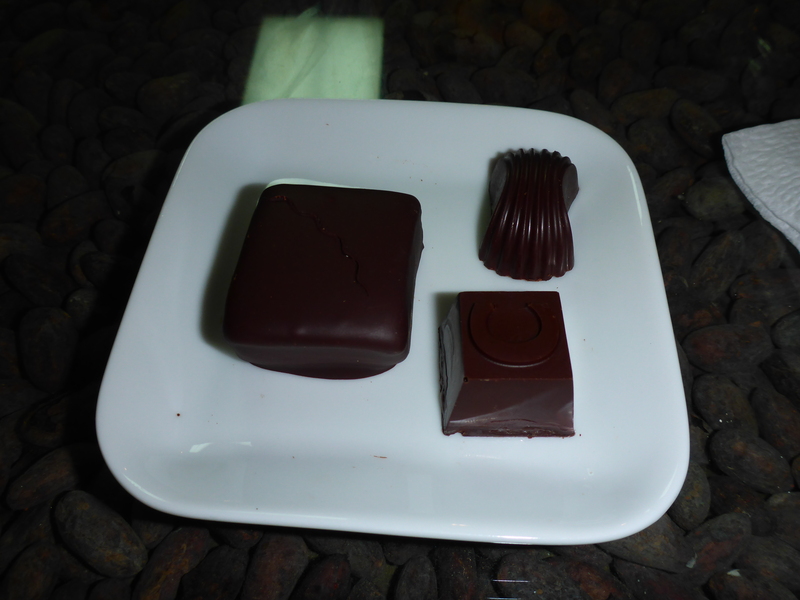 As we were walking along the beach we saw a little chocolate shop and who can’t resist chocolate?! Belize grows cacao in the Toledo district in southern Belize. About 10 years ago Jo and Chris Beaumont, a UK couple, quit their London jobs and moved to a little island in Belize. They went to the annual chocolate festival in Toledo and came back to San Pedro with the idea of starting a chocolate company. Kakaw Chocolate was born and is now sold in a cute little shop on the beach in San Pedro called the Belize Chocolate Company. Lindsay and I spent some time looking at all the boutique chocolates. I picked out 3 of them to try – a chocolate peanut butter cup, a mint pattie, and a chocolate-covered marshmallow. All were delicious! I also purchased some chocolate bars and chocolate tea to bring home. After an afternoon snack of chocolate we walked back to Pedro’s Inn to shower and get ready for our “fancy” dinner. Lindsay and I decided that we would splurge on one really nice dinner. Lindsay had her mind-set on another restaurant called The Tackle Box (not to be confused with the bar in San Pedro), but we discovered it was on the other end of Ambergris Caye and would have required a taxi ride. 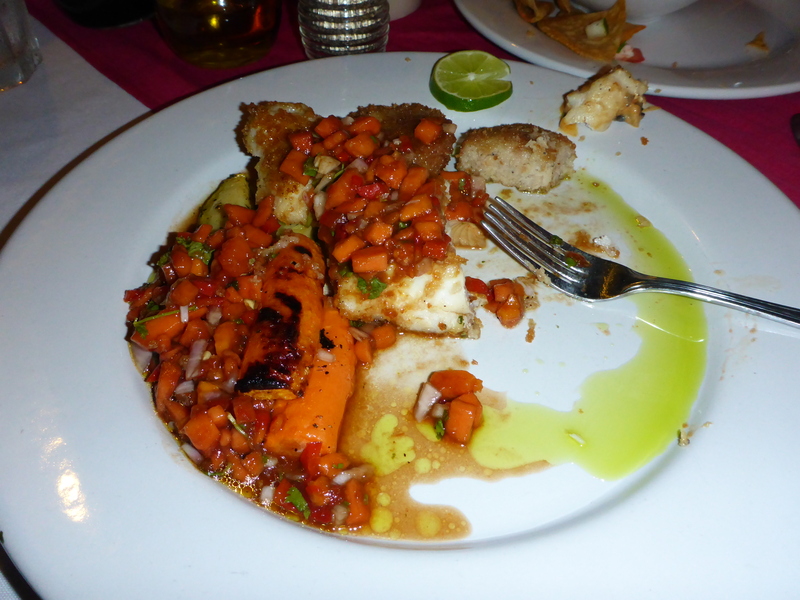 The Blue Water Grill at the Sunbreeze Hotel was our second choice and it was worth it! The restaurant is right on the beach and we were able to score a small table right on the railing to enjoy the sunset and cool evening breeze. After dinner Lindsay wanted to get another dinner so we walked down the beach to find a bar. Since May is the transition month from the high season to the low season (aka rainy season), the party scene was pretty dead. We decided on Fido’s Courtyard. The place had about 10-15 people at most. We were able to sit right at the bar with a few locals and tourists. We both ordered fruity drinks. They were okay. We chatted with the bartender a bit and then we headed back to Pedro’s. I was exhausted and we had to get up early for our snorkeling adventure in the morning! The famous sign – welcome to Granada, Nicaragua! In 2011 I travelled to Costa Rica and Nicaragua on a medical mission with International Service Learning, a United States-based educational NGO that focuses on enlisting medical and educational volunteers to provide care to underserved communities in Central America, the Caribbean, South America, and Africa. We spent a week providing care to Concepcion de Alajuelita, a very poor urban community within San Jose. After a week in Costa Rica, we headed north via the Ticobus to Nicaragua. In Nicaragua we spent a few days providing medical care to members of the Nindiri community at the church Hermanos En Cristo. On our last day in Nicaragua we explored the old Spanish colonial city of Granada. 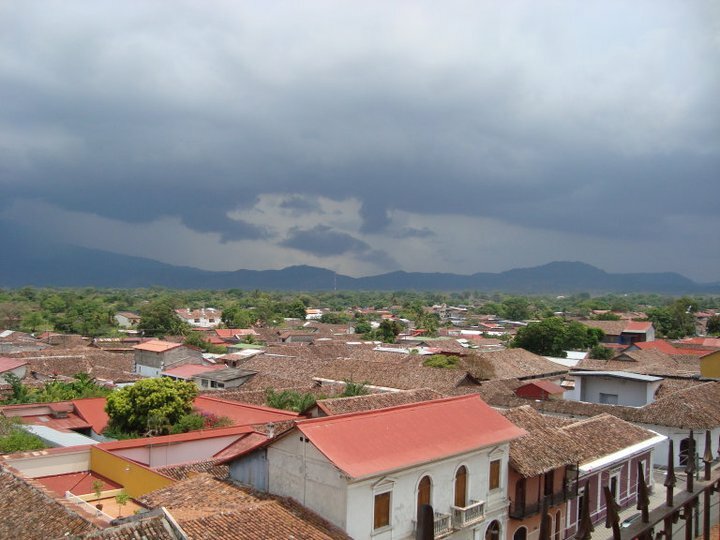 Granada has a population of over 117,000 people and is the fifth largest city in Nicaragua. 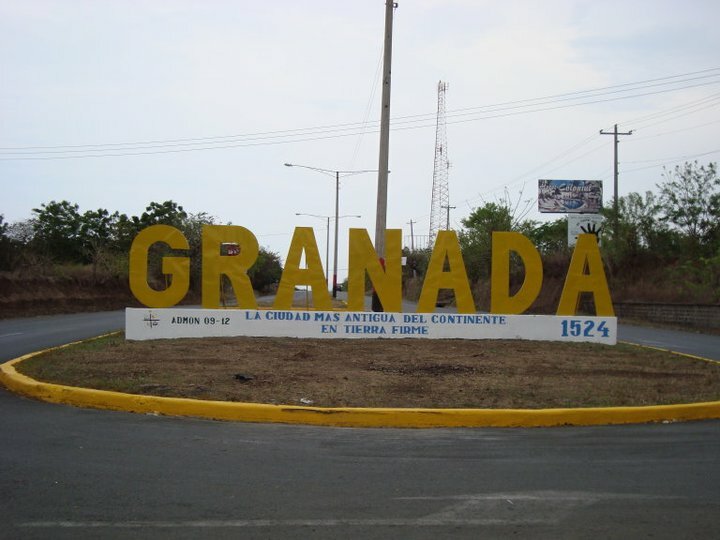 Granada was the first European city settled in mainland America in 1524 by Francisco Hernandez de Cordoba. 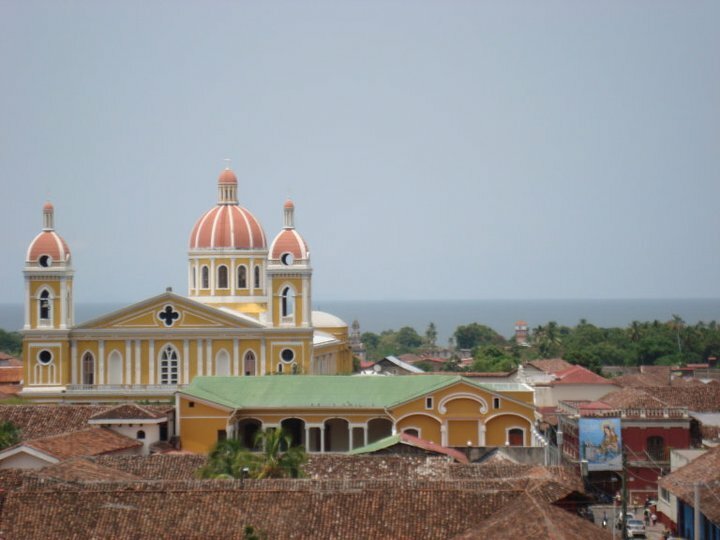 Granada is located on the shores of Lake Nicaragua, the world’s 20th largest lake, in western Nicaragua. Granada sits in the shadows of the Mombacho volcano, an extinct volcano with still visible lava. Granada is both a tourist and expat hotbed. It is filled with beautiful Spanish colonial architecture and is famous for its cigars. Antiguo Hospital San Juan de Dios is located in the western part of the city. 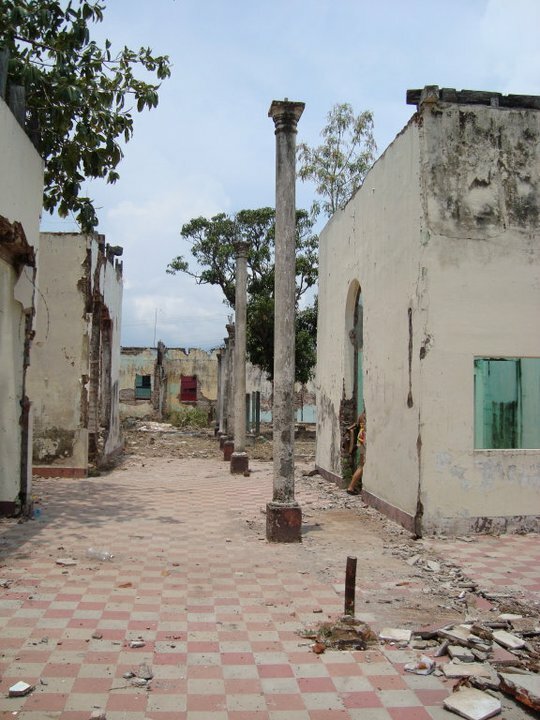 Construction of the hospital began in 1886 by Carlos Ferry. The hospital opened in 1905 and served patients during war times until it was closed in 1998. The hospital has now fallen in decay and is a great place to take photos and wandering around. Granada has several famous churches within the city. The most attractive of the churches is Iglesia La Merced. 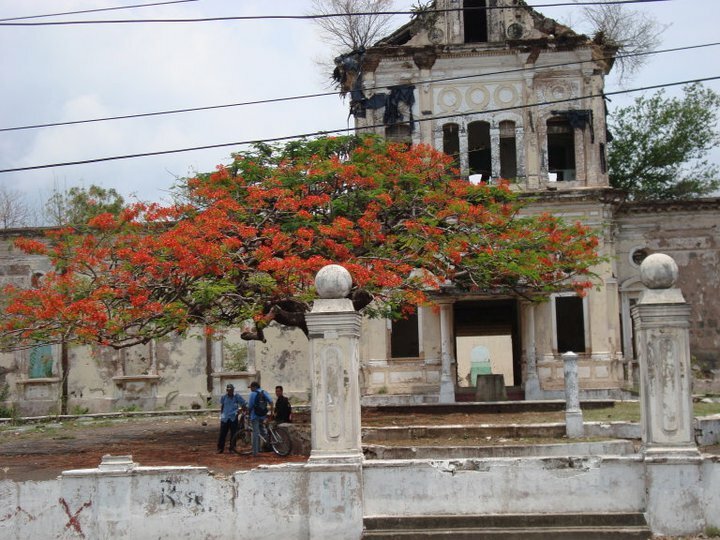 It was originally built in 1534 and was sacked and burned by Henry Morgan in 1670. It was rebuilt in the Baroque facade between 1781 and 1783. It was damaged again during war times and repaired in 1862. One of the best features of the church is the bell tower. You can pay a small fee to climb the tight spiral staircase to the top of the tower for the best views of the city! While looking over the red-tiled tops of old colonial buildings, you can see Lake Nicaragua from one side and the Volcan Mombacho from the other. 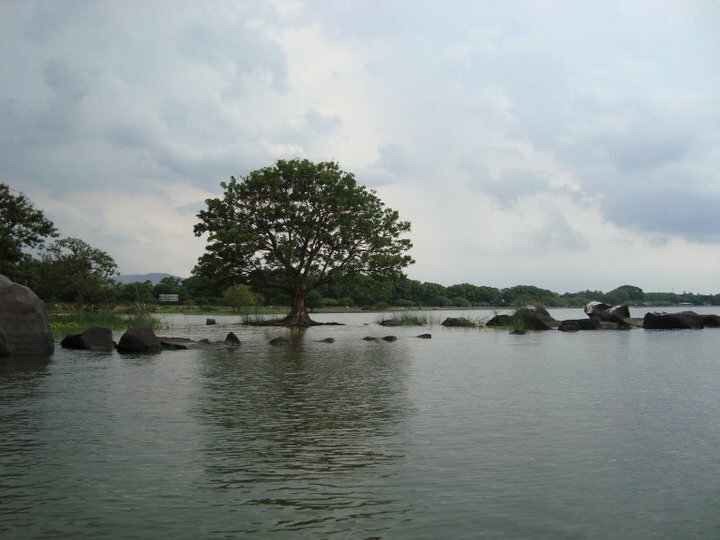 One of the main tourist attractions of Granada is Lake Nicaragua. 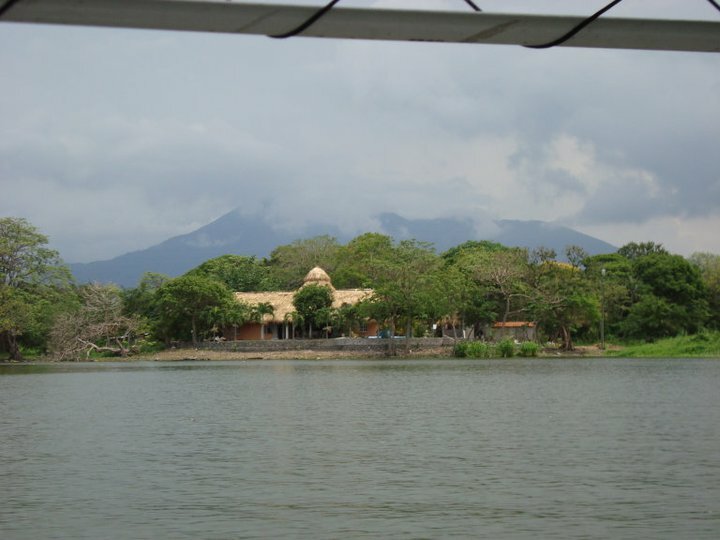 Lake Nicaragua is the largest lake in Central America and the 20th largest in the world. Even though the lake is located geographically closet to the Pacific Ocean, it drains into the Caribbean Sea via the San Juan River. 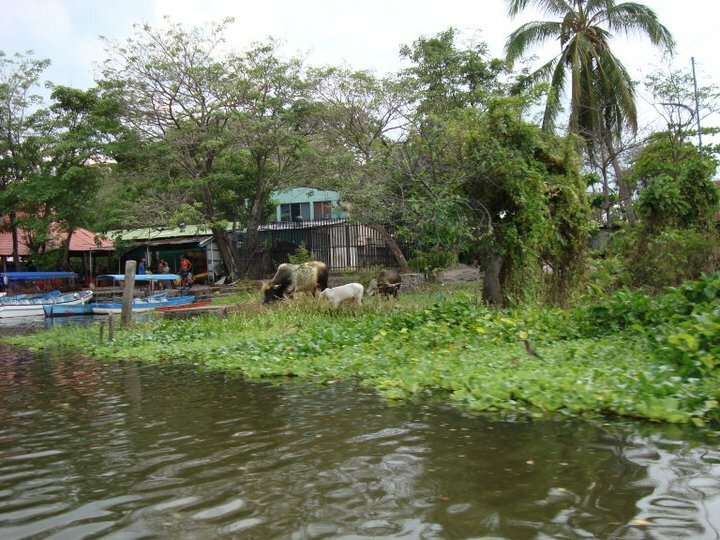 Lake Nicaragua contains over 400 islands with 300 of them within 5 miles of the city of Granada. Not all the islands are inhabited. Some are owned privately and contain pretty impressive vacation homes. One of the 400 islands is known as Monkey Island. Monkeys are not native to the western side of Nicaragua, but one local islander released their former pet monkey on the island. The monkey population has since grown. 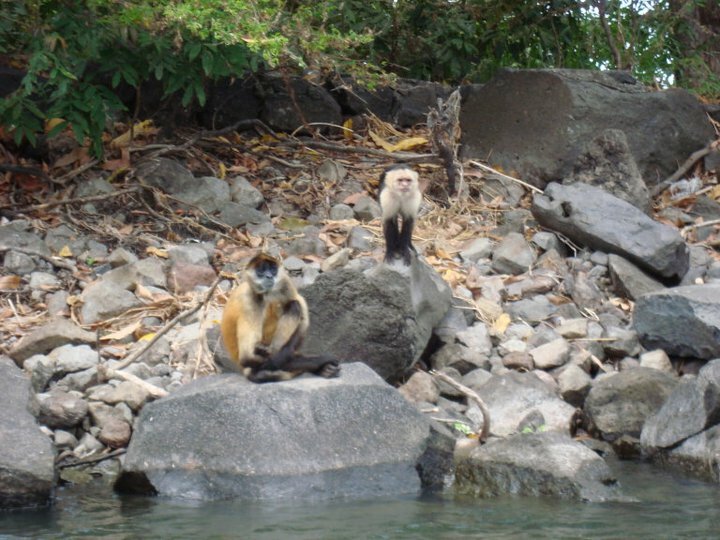 The monkeys are Capuchin monkeys and are omnivores, meaning they will eat both fruits, vegetables, and seafood. 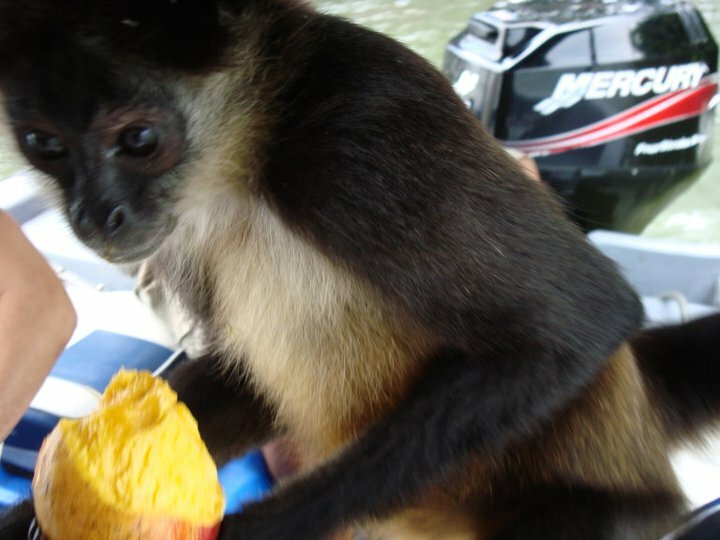 Due to all the tourist boats the monkeys are used to being fed by tourist versus finding their own meals. 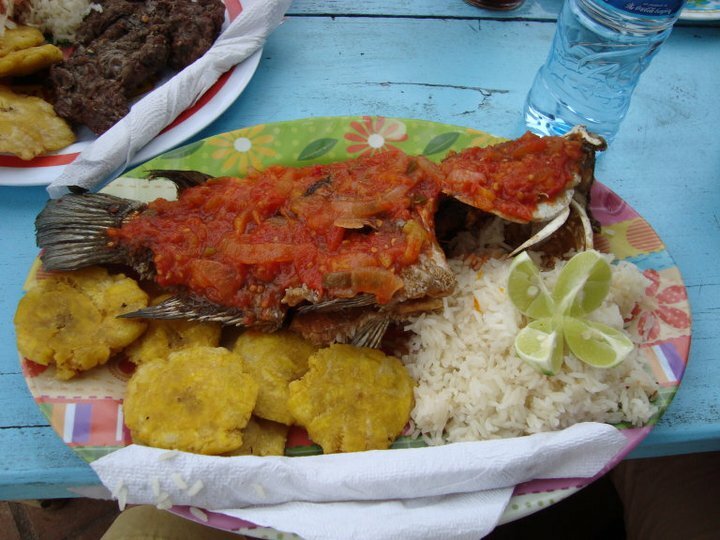 The food in Nicaragua is amazing, especially the seafood in Granada. After a boat tour of the Isletas de Granada, we ate lunch at an island restaurant. 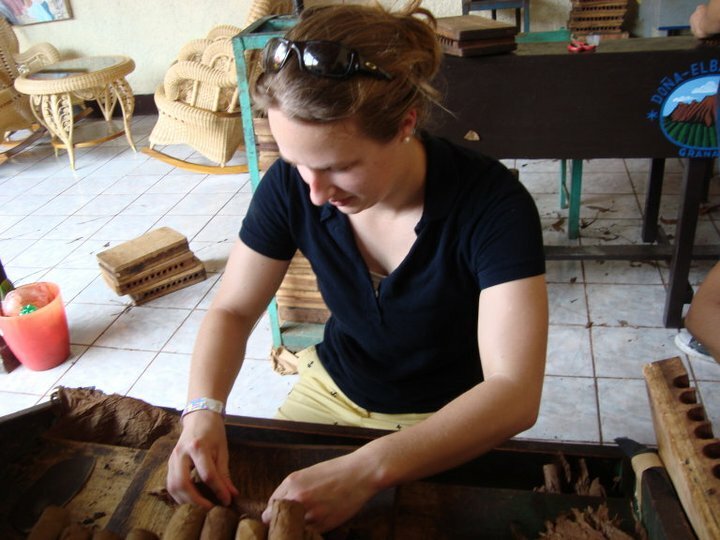 If you’re traveling to Granada then you certainly don’t want to miss an opportunity to roll your own cigar! Nicaragua is well-known for their cigars and rum. During our carriage tour of the city the driver brought us to the Dona Elba Cigar factory where we learned how to make our own cigars. It was a really cool experience and I purchased some cigars for friends and family back home. 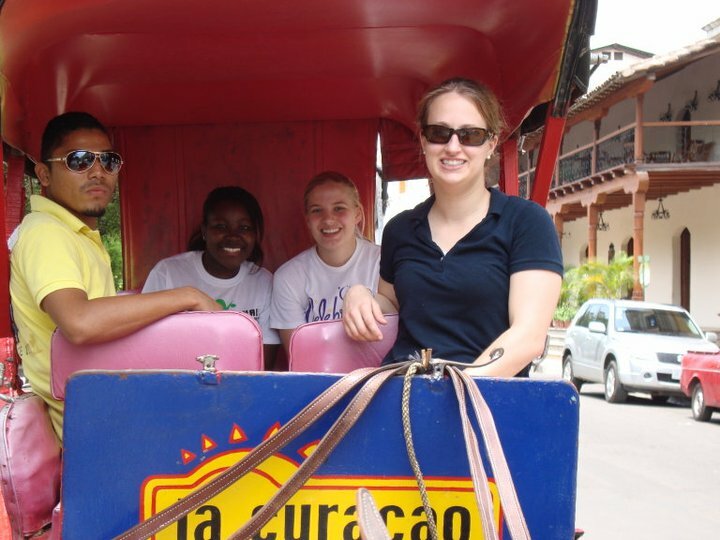 I really loved Granada and the country and people of Nicaragua. I would have loved to have stayed longer and really experience more of the Nicaraguan culture. We were really lucky in that our trip leader, who was Costa Rican, had a cousin that lived and worked in the Nicaraguan government. After our day trip in Granada, he took us on an evening tour of the city of Managua and told us the history of the country. He also took us to the local discoteca, which was quite the experience! Have you been to Granada before? What do you recommend seeing?